This is no ordinary rain coat. 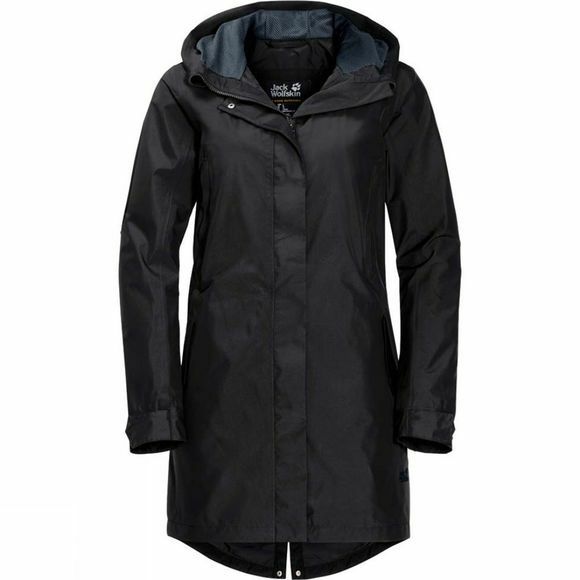 The Womens Monterey Coat has a smart, unfussy design and is made of Texapore Ecosphere so it is very waterproof and breathable. But that's not all. The fabric is also 100% recycled, including the membrane. This is a fully functional piece of outdoor kit disguised as a simple rain coat. With its clean silhouette, the MONTEREY wouldn't look out of place in a business situation worn over a blouse and a smart jacket. And there's another key advantage: it's nice and light. Both the hood and swalLow tail at the back of the coat are individually adjustable: open, folded over or buttoned shut, it's up to you.